Wellington is a thinly populated primarily residential neighborhood in the northeast corner of Manchester. The Wellington Neighborhood is bordered by the Hooksett town line to the north, Route 101 to the southeast, and Interstate 93 to the southwest and west. Wellington is home to Dartmouth-Hitchcock Manchester. 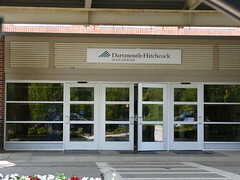 Dartmouth-Hitchcock Manchester was founded in 1984, when six respected local physicians joined forces to create Manchester's first multi-specialty group practice. Their goal was to serve the health and medical needs of the residents of Manchester and surrounding communities. Today, the facility has grown to a team of more than 200 health care providers who treat approximately 75,000 patients. The elevation reaches 570 feet (170 m) above sea level.